Solazyme Creates Sustainable Food, Fuel, and Personal Products From Algae | Owen, Wickersham & Erickson, P.C. OWE’s John C. Baum has represented Solazyme, Inc. since the company’s founding in 2003. Solazyme is a South San Francisco-based, publicly-traded biotechnology company dedicated to improving our lives and our planet by creating sustainable foods, fuels, and personal care products from the world’s simplest and oldest sources: algae. The company’s microalgae-based products are designed to replace or enhance oils derived from traditional sources – such as petroleum, plants, and animal fats – and serve as the foundation for high-performance industrial products, unique home and personal care solutions, more sustainable fuels, and even healthier foods. A recent NPR feature story, Protein Goes Green: Can Algae Become the Next Soy, highlights Solazyme’s AlgaVia™ brand algal flour ingredient, which is adding vegan protein and healthy lipids to a variety of grocery store items. John advises and assists Solazyme with trademark, copyright, and internet matters worldwide, including helping the company protect the intellectual property associated with its several lines of eco-friendly products, from Algenist® personal care products containing Alguronic Acid®, a proprietary microalgal compound that minimizes the appearance of wrinkles to biofuels. Recently, UPS committed to purchasing millions of gallons of renewable diesel from several companies, including purchase of Soladiesel® from Solazyme. A special selection committee chose Wolfson for his vision to take one of the smallest organisms in the world – microalgae – and use it to revolutionize some of the biggest industries in the world. 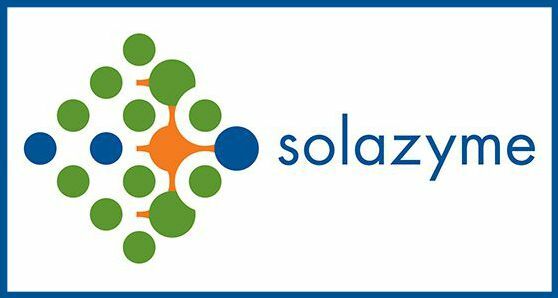 Solazyme’s revolutionary biotechnology platform enhances the oil-producing nature of microalgae at the cellular level to tailor-make amazing oil profiles that bring specific benefits to people and the planet. The company’s sustainable algal oils can replace petroleum-based and other unsustainable oils widely used in many industries today. Solazyme’s algal oils have a lower carbon footprint than nearly all other oils- including fossil fuels, palm, palm kernel, and soybean. The company is able to turn plant-based sugars – like sucrose from sugar cane and dextrose from corn – into entirely new sources of healthy food ingredients in a matter of days.